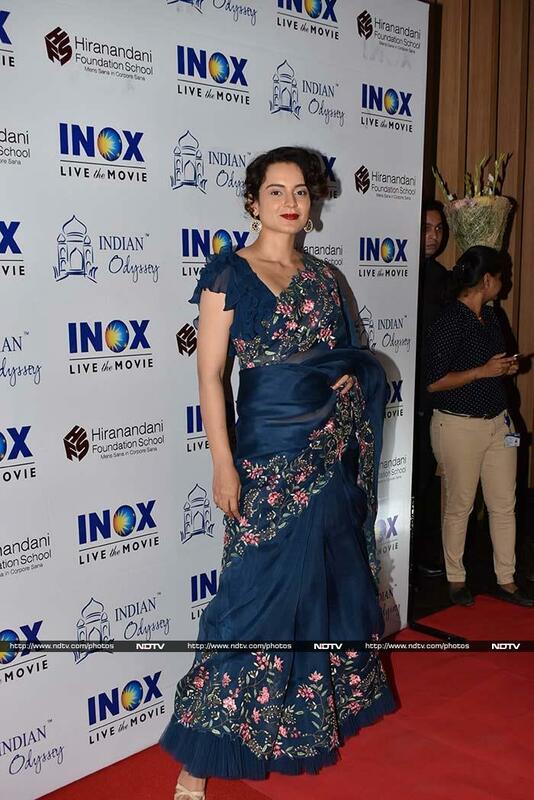 Kangana Ranaut attended a special screening of her new film Manikarnika on Thursday evening. She looked beautiful in a blue sari with flower motifs. 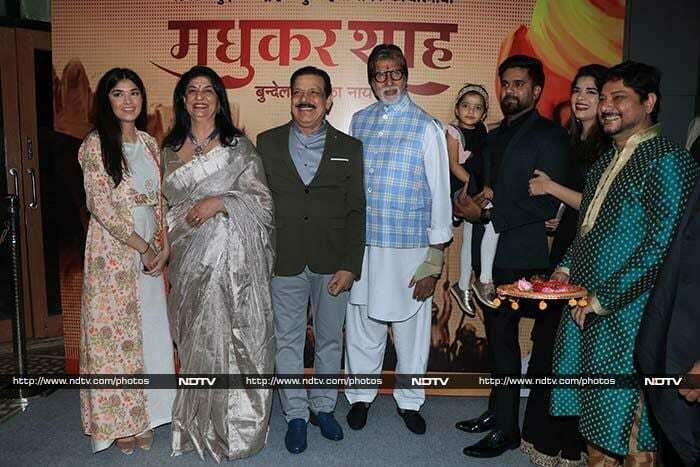 Amitabh Bachchan was invited to launch a book authored by actor Govind Namdev. 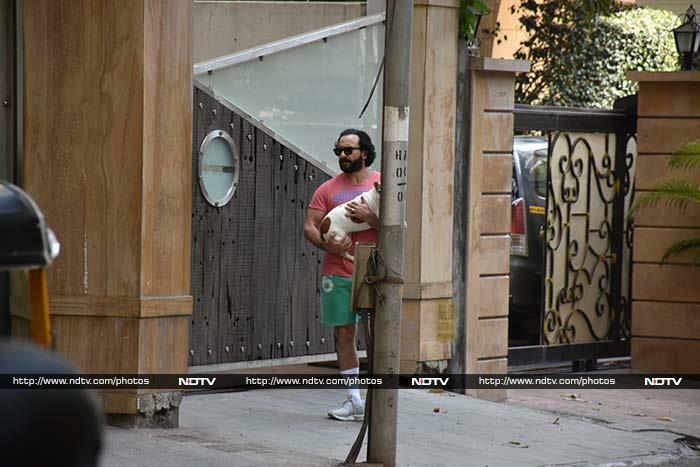 Saif Ali Khan was spotted near his home with a dog. Saif and Kareena Kapoor's son Taimur also went out for a walk with his nanny. Shahid Kapoor walked the ramp with Vaani Kapoor at a show. Rajkummar Rao and Patralekhaa attended an event together. Warina Hussain attended an event in Mumbai. Isabelle Kaif, we love your smile!